Learn more about upcoming events and programs. Sign up today! 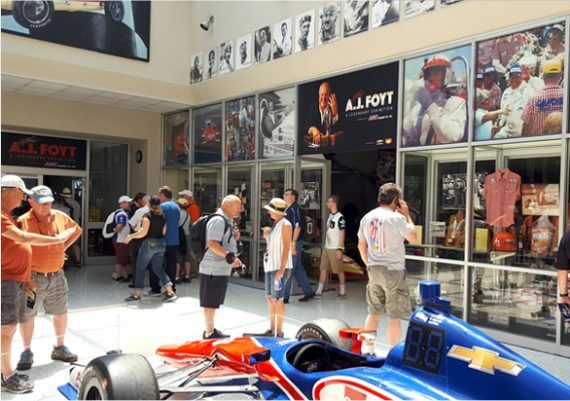 The Indianapolis Motor Speedway Museum (IMSM), uniquely situated inside the historical 2.5-mile oval track, is recognized as one of the most highly visible museums in the world dedicated to automobiles and auto racing. 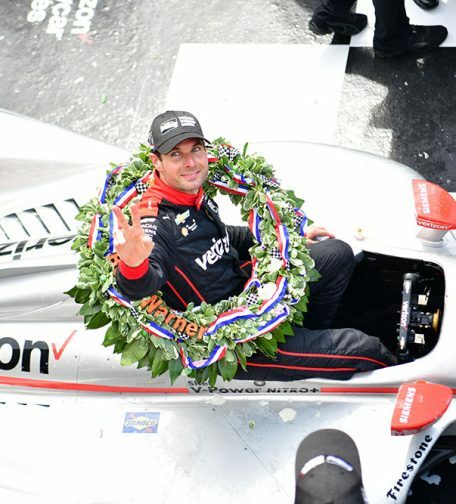 The Indianapolis Motor Speedway is open every day of the year except for Thanksgiving Day and Christmas Day. Indianapolis is in the Eastern time zone. Hoosier Thunder tells the story of the many drivers and families who have made Indiana short-track racing a way of life: surnames such as Carter, Darland, Elliott, Kenyon, and Kinser. 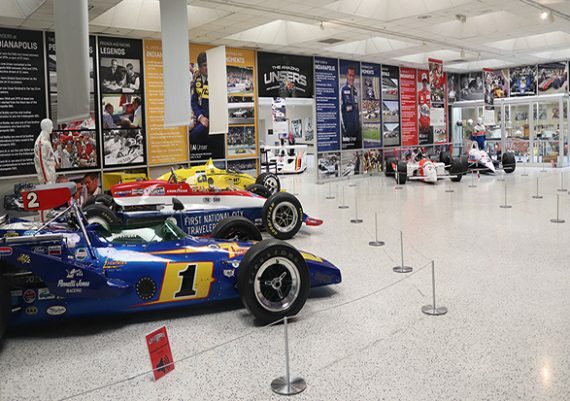 The exhibit is the largest in the IMS Museum’s 60-year history, with 41 Sprint, Midget and Silver Crown series cars along with many trophies, drivers’ suits, helmets, and artifacts. 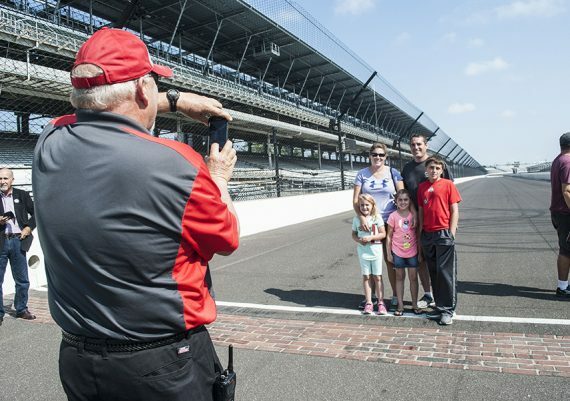 Every day is May at the IMS Museum. 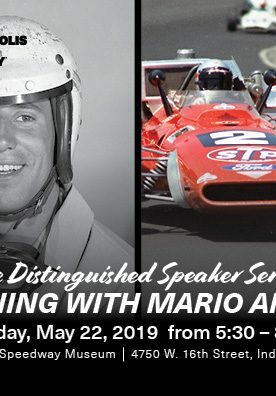 Join us in the parking lot for our monthly morning Speedway Cars and Coffee or spend the evening with a motor sports legend through our Distinguished Speaker Series. Go behind the scenes of the Racing Capital of the World and see where legends are made. Tour the historic Speedway grounds and one-of-a-kind museum exhibits. More than a century’s worth of motor sports history is waiting for you. 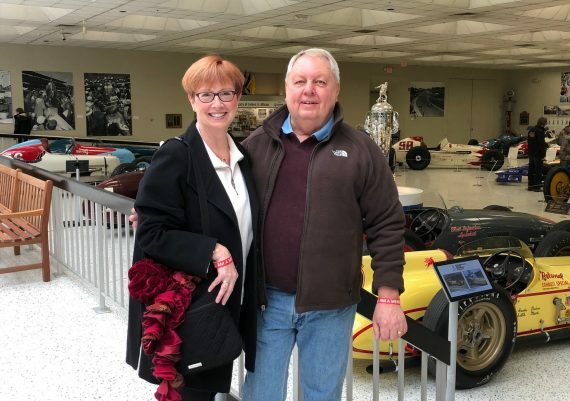 Museum members share our commitment to telling stories of American heritage and family culture inherent to motor racing. Join today for access to members-only benefits and help us continue to welcome race fans for generations to come.